It’s the Friday before a long weekend. I, like many other hard-working members of society, made an executive decision to work from home today. It seemed like the perfect plan. I woke up early, took the pup for a walk, had a cup of coffee and chatted with my roommate for a bit, and then sat down to do a little work. But I had this weird feeling. I’m forgetting something. I went through the list of things I do in the morning. Shower? Check. Brushed my teeth? Check. Fed the dog? Check. 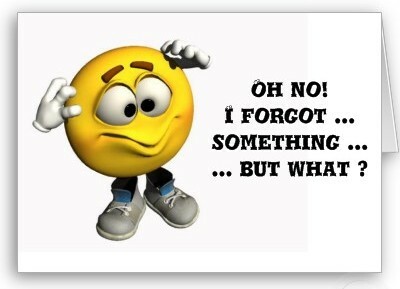 No matter how hard I thought, for the life of me I could not figure out what I was forgetting. It was at 8:43 a.m. when my memory returned. Slowly I started to think about how hungry I was. I began rummaging through the fridge and cabinets in the kitchen. Then the following thoughts struck me in succession. 1) If I had gone into work today, there would be breakfast because every Friday someone brings in breakfast for the office. . .
2) I wonder who is bringing breakfast today. . .
That’s right. By 8:45 a.m. I finished my time/how much do I have to carry analysis and decided I needed a car. By 8:52 a.m. I threw on torn up jeans and the t-shirt I wore last night. By 8:57 a.m. I had the carshare reserved. By 9:02 a.m. I was out the door and off to the grocery store. By 9:33 a.m. my office had an assortment of pastries and fruit to choose from for their morning sustenance. To relay this back to a New York versus Los Angeles debate, I wish we had more bodegas within walking distance of my apartment and cabs within hailing distance to take me to my office when I’m carrying a crazy load of food and a jug of milk. All that aside, I say 45 minutes between realizing my memory is bad to walking into the office door with an armload of goodies, though I was a bit disheveled, is not so bad.